Before making the leap of faith into the world of entrepreneurship, Marcy worked in the private wealth management industry in Chicago. Her career taught her business acumen and gave her confidence to create her own company. Marcy’s goal is to grow a company that is focused on the triple bottom line. When not making sammies, you can find Marcy horsing around with her two boys, killing aphids in her garden, skiing, reading, and puzzling. Marcy has a BS from Skidmore College and an MBA from Northwestern University. Julie Beekman is a Hospitality Industry Professional with more than 25 years experience managing upscale restaurants, unique hotels, and fast-casual restaurants. 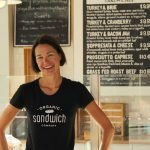 She joined Organic Sandwich Company in September of 2016 as Managing Partner. Julie is the Author of Two Trees, A Memoir, published by Rogue Phoenix Press in 2017. 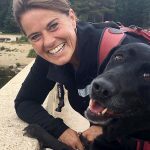 When she isn’t writing or in the shops, she can usually be found running, hiking or skiing various Colorado trails. Julie is currently working on a follow-up Memoir as well as historical fiction. Copyright 2019 - Organic Sandwich Co.